A pair of Silver Earrings. 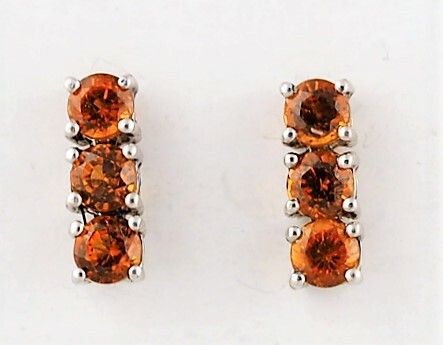 Each earring consists of three round cut Hessonite Garnets in four claw settings. The earrings come complete with silver posts and butterfly fittings.